NASHVILLE - Former Democratic Gov. Phil Bredesen is part of the bipartisan consensus that the roll-out of online insurance exchanges under the Affordable Care Act has been a flop. Bredesen told reporters last week it would take a "150 percent effort" to get a complex website up and running where uninsured and low-income people can find affordable insurance on the private market. "I think it kind of got a 50 percent effort, and the difference has been the problem," said Bredesen, who became rich as a health care entrepreneur and now is involved in the medical technology end of health care. President Barack Obama wants problems solved by Nov. 30. Bredesen's not sure that's doable. "I guess my experience in the tech world with these kinds of things is you can't just throw bodies at it. That if you just hire a whole bunch of people and send them out to try to fix a complicated system like that, it's like, I don't know, getting nine women together in a room and produce a baby in one month." "It just doesn't work quite that way," he added. "But they'll ... work their way through that." 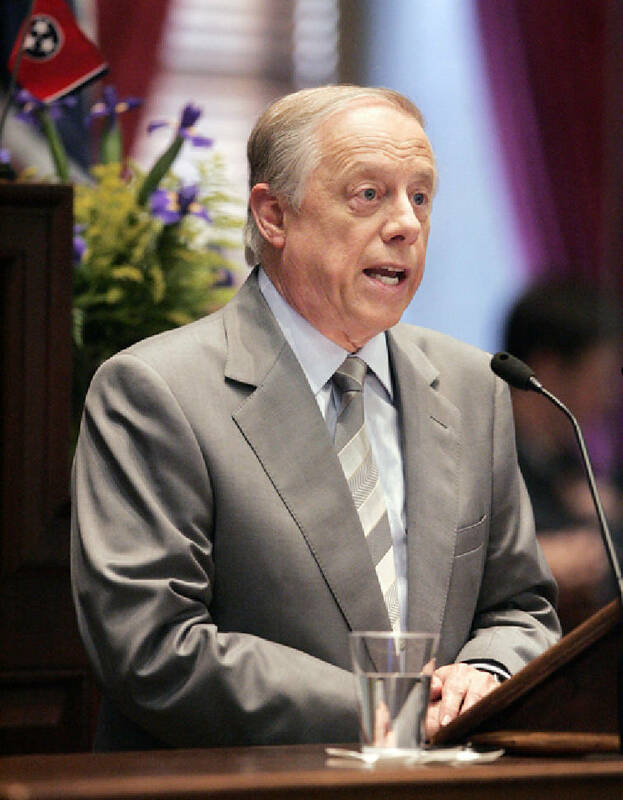 Bredesen said he still favors a part of the law that calls for expanding the state's Medicaid program, known as TennCare. He initially denounced it as the "mother of all unfunded mandates" for states. That began to change after he left office and the U.S. Supreme Court made expansion voluntary. Tennesseans' tax dollars fund the federal Medicaid program and the borrowing needed to support the expansion, he said. "If you can do it, it seems to me you don't refuse that money that your taxpayers are putting in," he added. "And second of all, I think it's for relatively little money a way to extend health care to a lot of people in Tennessee who would really benefit from it." He added that he is "not second-guessing" his successor, Republican Bill Haslam. The state estimates 181,700 Tennesseans would be eligible for the expansion. The federal government would cover all the new costs for the first three years and 90 percent thereafter. The TennCare Bureau estimates the state's share of costs in years four through six would total $199.1 million. The cost estimate for the sixth year, 2019, is $94.6 million, according to TennCare Bureau estimates. But officials compare that to the $203 million estimate for the existing program by 2019 as people currently eligible but not on TennCare come in to meet a federal requirement that most people be insured.